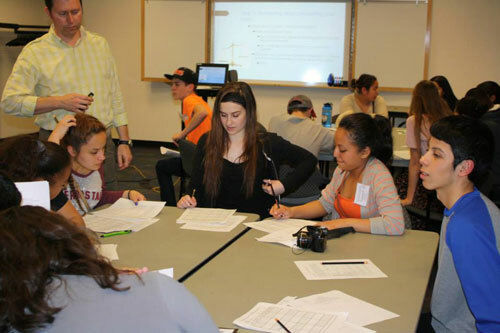 Over 100 high school students took part in this year’s Oregon State University (OSU) Science & Math Investigative Learning Experience (SMILE) Program Bioenergy Challenge where they were tasked with learning different types of bioenergy based on four hypothetical communities similar to those in the state. In mock scenarios, student teams were “hired” by an investment firm which had selected communities to support bioenergy production. Using survey data and information about the locales, students informed financiers on which type of bioenergy would be a mutually beneficial investment for their company and the community. Students working on their bioenergy presentations. 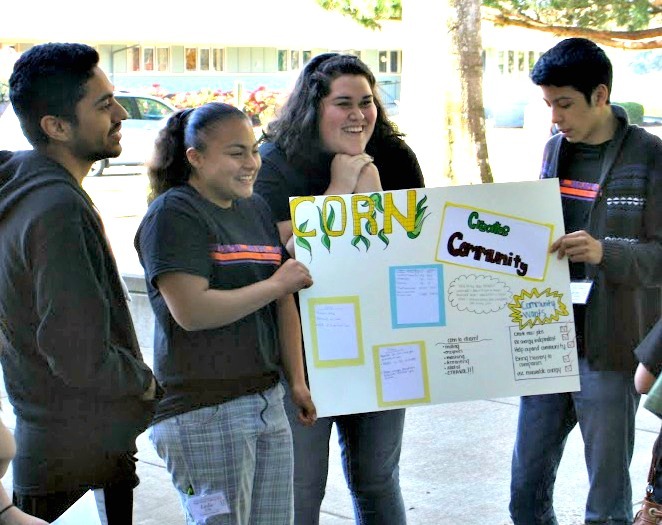 As one of the educational components of the Advanced Hardwood Biofuels Northwest (AHB) consortium, SMILE and the two-day Bioenergy Challenge help rural, low-income, and minority students think about their future in a STEM career and acquaint them with college life. Student teams created five-minute persuasive presentations where they included the types of bioenergy that would be best for a community investment and explained what investors would need to do to gain community support. The students also designed an educational pamphlet and poster providing survey data and region specific biofuel information, which were also presented to their hypothetical investment firm. 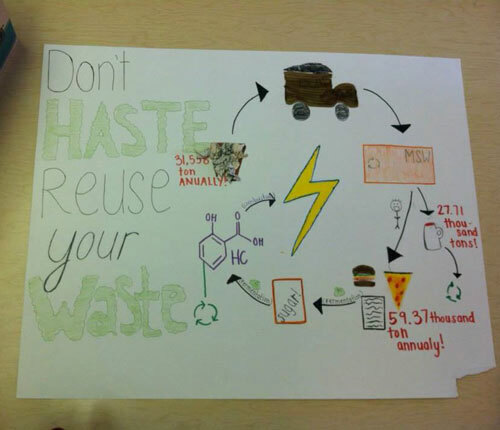 Students gave five-minute presentations explaining which types of bioenergy would be best for a community investment. Students also designed educational pamphlets and posters.